Player rolls 2 number dice. Player marks out a rectangle based on the numbers shown on the dice. 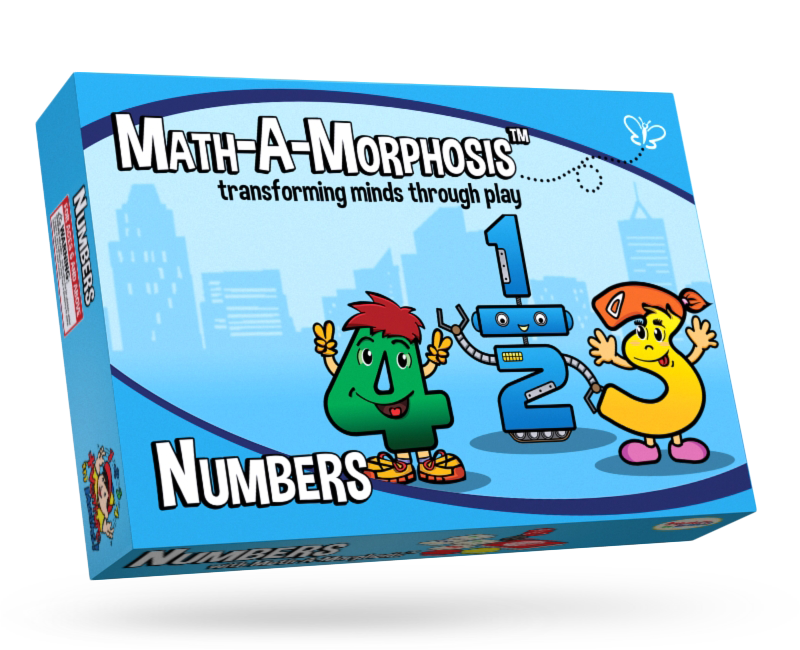 For example, if player rolls numbers 3 and 4, he marks out 3 squares by 4 squares or 4 squares by 3 squares on the map with his marker and writes the product of the two numbers (3 x 4 =12) inside the rectangle. Rectangles drawn must not overlap other rectangles. Players take turns to play, repeating steps 1 and 2, until there are no more squares to mark out. 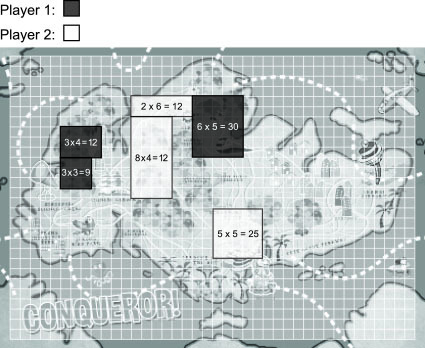 Each player adds up all the ‘land’ he has marked out on the map. The player who has ‘conquered’ the most land wins the game! Don’t take the Last Counter!